Global sophistication abounds in this contemporary ocean view masterpiece which sits on over an acre of lush tropical paradise in sought after Rancho Del Mar. An evolution of functional contemporary design and modern resort-like aspirations. This home embraces minimalism accompanied with depth, texture and warmth through its creative design and indoor-outdoor elements. Every detail has been meticulously designed with luxury living and 21st century modern conveniences in mind. MUST SEE SUPP Global sophistication abounds in this contemporary masterpiece which sits on over an acre of lush tropical paradise in sought after Rancho Del Mar. This home embraces minimalism and uniqueness, using one-of-a-kind materials and textures. Every detail has been meticulously designed with luxury living and 21ststcentury modern conveniences in mind. 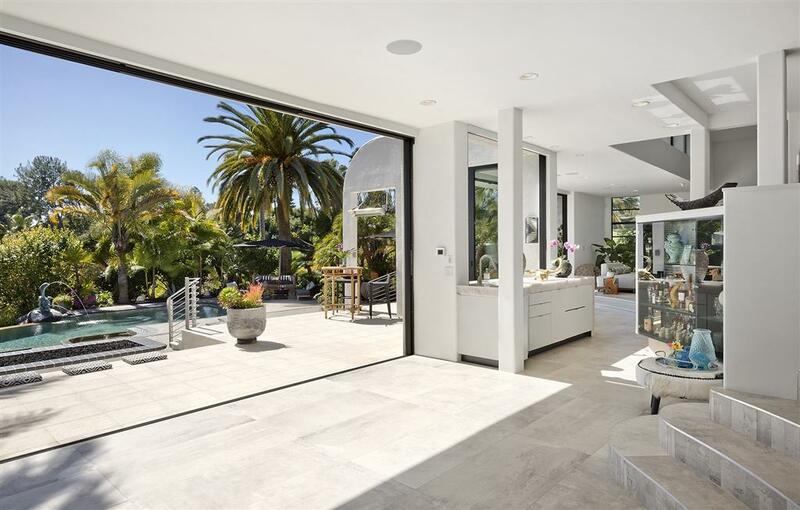 Offering the best in San Diego indoor/outdoor living, this home will amaze with walls of glass that open electronically with the push of a button to expose a palm tree oasis with elements of fire and water and a resort-style vanishing edge pool and spa. 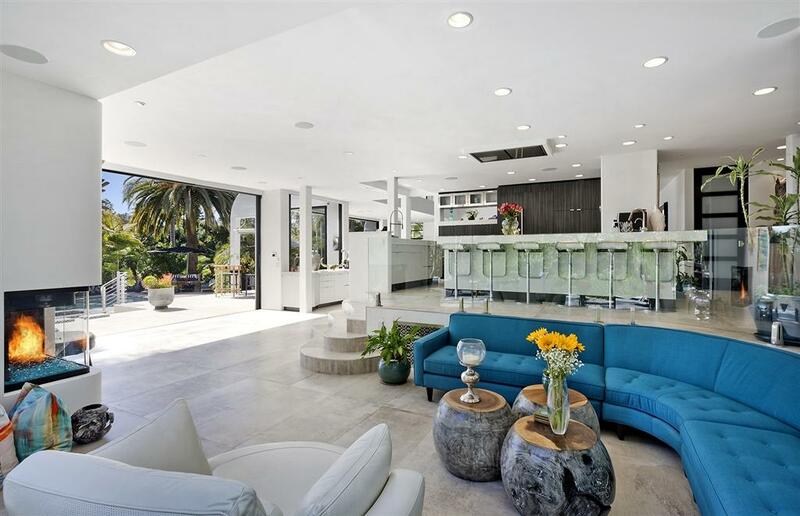 This modern marvel incorporates large open, bright spaces and spectacular views. Cooking in modern luxury has never been so fun. The kitchen boasts gorgeous four-inch thick Quartzite stone countertops that illuminate from below. The state-of-the-art Gaggenau Induction stove-top and built-in steam oven are the latest high-end kitchen appliances. There are two bar's Ã¢â‚¬â€œ one with two Sub-Zero built-in wine refrigerators, and the other with a Quartzite waterfall countertop. Skylights throughout the house provide light, bright spaces. The master bedroom is extraordinary, with a fireplace, separate office space, heated ocean view balcony, and hidden TV that folds down from the ceiling. The master bathroom offers a spa-like zen retreat with a free-standing bathtub and inlaid stone flooring and slab granite walls in the open shower. The property also features a private fenced dog run, a Koi pond and putting green. The 3-car finished garage has cedar-lined cabinets. This home is a designer showcase not to be missed!